Self-assessment is about taking time to consider your personality, skills, values and preferences. In this post, we are looking at various self-assessment tools in the hospitality industry for success in career. Needless to say that these tools are equally relevant to all other industries. By recognizing and reviewing these, you will be better able to identify the jobs you are likely to succeed at and derive enjoyment and satisfaction. Self-assessment tests must stand as tools to strengthen you. Hospitality Industry has so many overlapping sub-industries and roles that it might be overwhelming for employees to understand their true self and place in the industry. Though the strength and weaknesses of a person are brought to light through assessment, one must use the strengths aptly and must work on strengthening the weaknesses. This post guides you through the process of self-assessment to help you grow immensely in the hospitality industry. Self-assessment would help you develop the top qualities of a great hospitality employee. Always remember that self-assessment tests are not meant to stop you from being what you are, but are tools to mould and identify yourself in a better way. 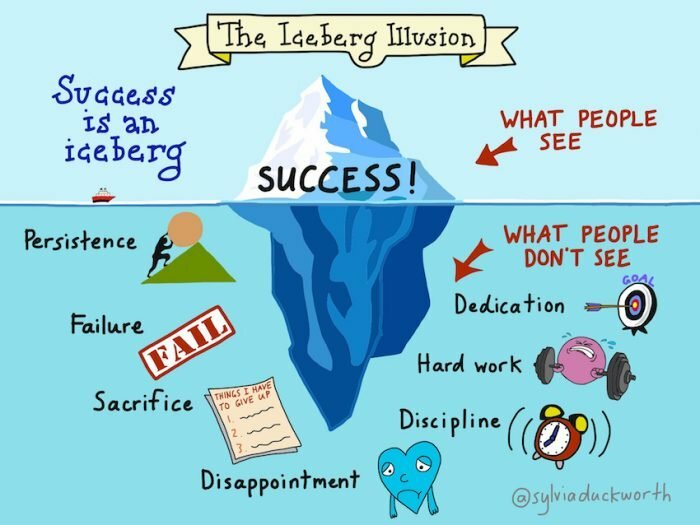 Let’s start with an image from the National Career Development Association. 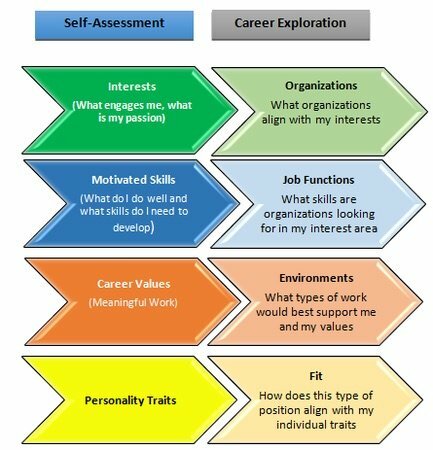 The below depicts how self-assessment can help define your career. The hospitality industry is extremely labour intensive and competitive. It is thus important to keep evaluating yourself to ensure you are always an edge ahead of your competitors. 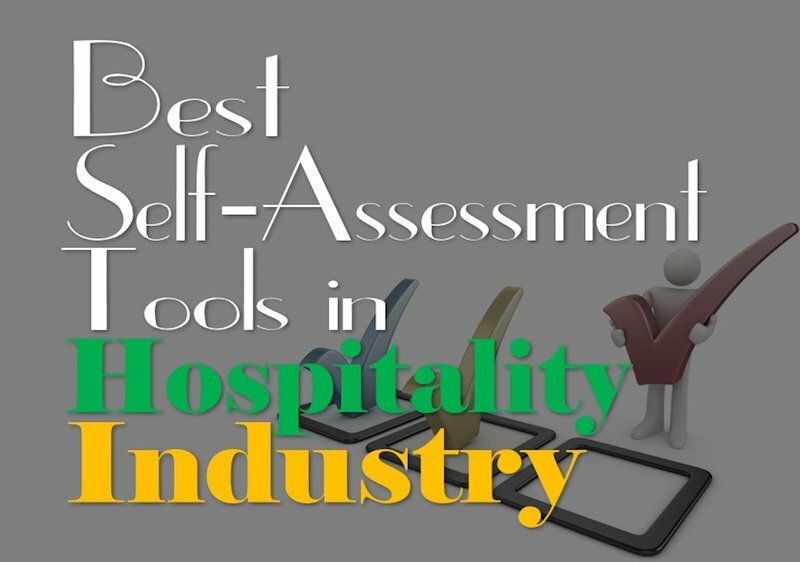 Now, let’s move on to a few self-assessment tools that will help all hospitality professionals to help themselves out to craft their career in the best possible manner. 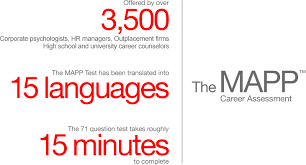 One of the most interesting one and free career-related assessment tool is MAPP. MAPP is motivation appraisal of Personal Potential. So, if you are tired of your current job and have nowhere to go, take this free assessment. This test has been taken by millions of people and has helped millions find the right way from within. This test is extremely popular in the Hospitality industry. Try the MAPP Tool for FREE and assess your next potential move. 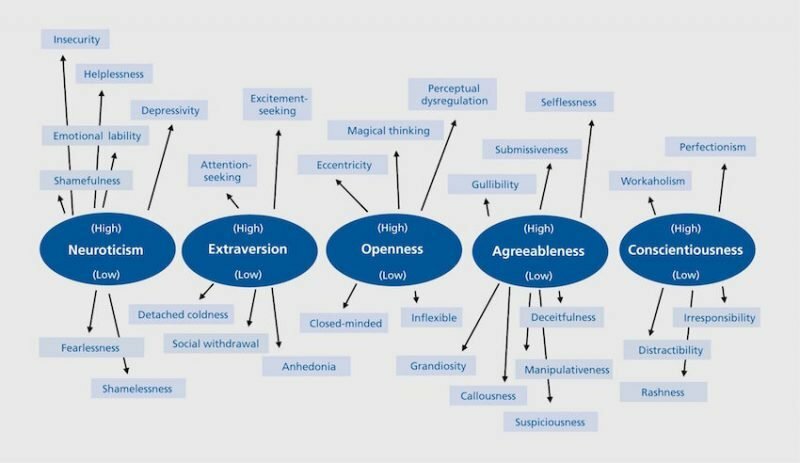 Another interesting tool is based on Big Five personality Traits. Personality-testing info provides free resources to use this tool to test yourself. These traits are applicable to all industries and have a striking connection to the Hospitality industry. One of the articles by Bufferapp explains in an engaging manner of how these traits can help in developing your team building and managerial skills. The image below captures the traits, both positive and negative, which can help immensely to develop and assess your personality, strength and weaknesses. A lot of hotel managers can use these tools to better understand and develop their team. So, you can give this test a try by using the resource mentioned above. There are numerous other free and online resources for this self-assessment. Just Google it and you will be spoilt for choices. There are many tests that counsellors suggest to understand one’s personality, out of which one well-acclaimed test is the MBTI or the Myers Briggs personality test performed by many psychologists to help understand a person better. This test is being performed at a lot of companies including some of the Best hospitality companies in 2018. Consulting.com has explained through a video and article on how MBTI test can change your life and career. There are several other self-assessment tools available on the world wide web space. How to use Self-Assessment tools to skyrocket your career in the Hospitality Industry? There is much more to these self-assessment tools. These can help you in crafting an Amazing hospitality career. There are few considerations to make to ensure that these tools can you the best results. Their purpose is to make suggestions about the sort of person you are likely to be and to prompt you to think about yourself in a new light. If you are a Chef, think what are you great at, where can you improve and if the score that you have received indicate any trend. Same goes for all other roles of the hospitality industry. The tests are not infallible and should be used only as a basis for helping you to think about the areas of work which are likely to interest and fulfil you. It is important that you take the test as a tool to recognize and not to completely alter the person you are. Only you can decide exactly what type of person you are and what career is the right one for you. Personality tests are based on your response to the questions and so it is important to take it positively and grab opportunities to strengthen the person you are. Never let such personality tests break you, but allow it to make a better person of you. In reality, people are individuals, each with unique personality traits and characteristics. Personality types are generalizations and it is very likely that your exact character will not fit precisely into one of them. Every person is put into one category, but the truth is not all members in the same category are similar. Each one will have different specific traits to themselves that cannot be well distinguished by a personality test. Hence, make sure you do not put yourself into a box. Learn to experiment with newer traits and remember to alter the flaws that you have recognized. It is always possible to change your personality type if that is what you want. This will ensure that you gain a balanced view of yourself. Since each assessment is likely to analyse slightly different factors. The field of psychology is improving and newer research has produced more efficient and apt personality tools. Hence, it is important to be updated with the latest. It is wise to take three or more tests because it will help you get a broader understanding of yourself. A single test holds possibilities of miscalculations and we do not want to react over that. 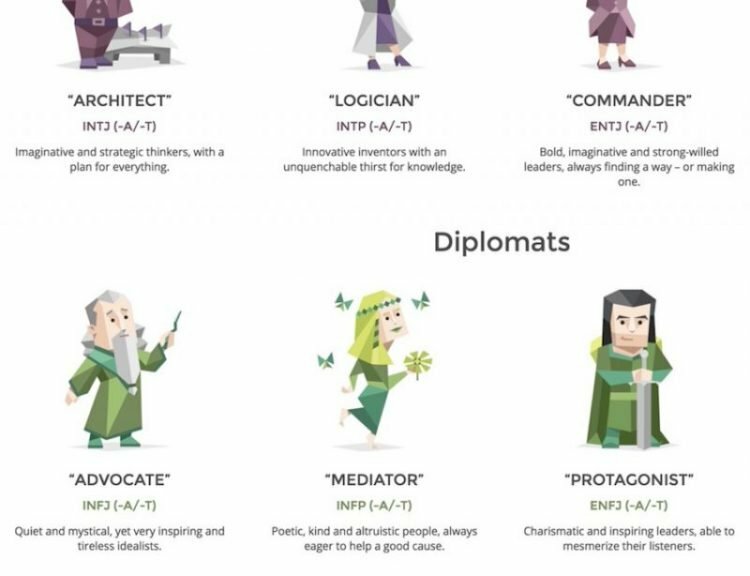 Personality tests are great tools to evaluate and define a person. One must be aware of the fact that it is just a kit to assess, and it must not cause any negative impact on the person. Many counsellors and psychologists use such personality tools to assess their clients and help them in figuring out perfect careers, solve family problems, marriage counselling and for many other reasons. It is a great tool that will assist students to choose a career path. It is wise to go through such a test before you go for an interview as it will help identify yourself better. On the other hand, if you have already gone ahead with a career that does not suit your personality, these tests will help you recognise yourself and you can work towards strengthening those traits that you need to fare well in the same field.